Student Profile - Agriculture Internships in Denmark.Agriculture Internships in Denmark. If you think global, are motivated, ambitious and open minded, then a 12 months’ paid internship program in Denmark is made for you. You have finished your first semesters and want to gain some initial work experience within a great team? Then you’re in the right place. 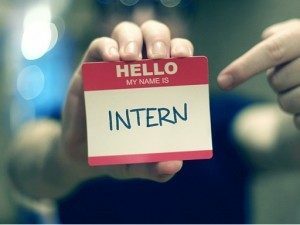 An internship is the ideal way to enter the world of work. You are involved in day-to-day operations, right from day one. Please note Non EU citizens: You can not apply if you are graduated. You cannot be granted a permit as an agriculture intern in Denmark, if you have completed your education. Applications are accepted from all nationalities. You are full-time active second year student and enrolled at university for the entire duration of the internship. – Agriculture animal husbandry & production (cow and swine production and animal breeding management) – agronomy – veterinary – equine – horticulture – forestry. You are single, between 18 and 28 years old, mature, motivated, responsible and willing learn and to spend 12 months away from home. You have driver’s license and international driving permit. You speak and understand English sufficiently to carry out instructions, to perform internship and training activities, to avoid injury to yourselves and others, and to prevent damage to property. You have passed a language test in English or German at minimum A2-level or higher. Accepted language tests: TOEFL – IELTS – Cambridge English Language Assessment We recommend B1 level as a minimum in speaking and listening. Your language test must be verifiable. You have basic knowledge in agriculture and work experience. You can work independently… and are good at it! You are able to create structure within your own work. You make suggestions rather than ask questions. You have participated in agri LIDA Internship Preparation Webinars. The goal is to get you out of the classroom and into the real world so you can feel and see the entire work process and what a work day looks like or what a job entails. We accept applications all year round! If you believe the above describes you, we are looking for YOU! Send us your application by clicking at “APPLY NOW”! However, even if you haven’t found exactly the internship you were looking for, we would still be delighted to hear from you. Gain experience in the field, meet interesting people from around the world, make new friends and come home with a different perspective on life.